With the current consensus that the Rio+20 summit was a failure, is the era of global treaties at an end, and if so where do we go next? Jules Peck works with companies on strategic innovation at Flourishing Enterprise, is a trustee at the thinktanks New Economics Foundation and ResPublica and chairs Edelman’s Sustainability Group. Jules is the co-author of Citizen Renaissance and was the director of David Cameron’s Quality of Life Review. “Anyone who believes exponential growth can go on forever in a finite world is either a madman or an economist”. Or, as Richard Branson put it more succinctly, “there is no Planet B”. Yet we live as if there were no limits. The last fifty years, the ‘era of pseudo-satisfaction’ and hyper-industrial, growth-obsessed consumerism has driven us to seek to deliver materially to what are known as ‘non-material’ needs. It’s costing us the earth, whilst failing to satisfy our underlying wellbeing needs. The scale of the challenge of decoupling this growth from ecological impact is truly enormous. Scale and intensity are key to decoupling and yet, while material and energy use has been declining around the globe, the scale of the world economy has been far outpacing any of these improvements. The very best technological improvements tend to sit at around 2% efficiency improvements per annum, or a factor two improvement over 35 years. In many areas, the low hanging fruit has been picked. For example, electric motors are now at 90% efficiency – they can’t go much further. To keep below a liberal 450ppm emissions target, we would need the carbon intensity of every global dollar of economic output to fall from today’s 768gm of CO2 to 6gm of CO2. That’s an 11% p.a. reduction on every global dollar of output. A consensus is therefore building that, unless we find something akin to a perpetual-motion machine fast, macro-scale growth will need to halt. And if the poor world is to continue to develop, that will mean finding a reverse gear for the rich world. Outside political circles, there is now a growing and influential consensus that we are reaching the limits of growth. We may now, in fact, be reaching the end of global growth, due to peaking of resources, ecological collapse and the meltdown of our financial systems. New research from NEF’s Great Transition macro-economic modelling, and from Tim Jackson and Peter Victor, suggests that if we redesign economics correctly, we do not actually need growth to deliver the kinds of things we expect from a successful economy: high employment, fiscal balance, high levels of wellbeing and ecological efficiency. If economies are forced to cease growing and to focus on new measures of progress such as wellbeing then the implications for commerce will of course be significant. As Professor Jackson has said, we urgently need to tease apart what kinds of economic goods actually contribute to the satisfaction of human needs and promote wellbeing, and which simply serve as pseudo-satisfiers, destroying our the underlying needs. Whether capitalism can be compatible with a beyond-growth wellbeing economy is as yet unclear. What is called for is a shift away from the comodification of everything and to a market system not based on profit maximisation but the ecological efficiency of the equitable satisfaction of wellbeing-needs. Whether the entities we call ‘companies’ will prove compatible with such a paradigm, or new enterprises more resembling cooperatives will become the norm, is also unclear. What is clear is that we can’t go on in the same blind fashion we are currently pursuing. Recently, these debates have started to go mainstream. Bodies such as the World Economic Forum, the UN, Harvard Business Review, Oxford, Cambridge and LSE universities and social movements like Happy City, Action for Happiness and Transition Towns are all integrating a wellbeing perspective into their thinking. Even some politicians are tuning in to these new cultural norms and framing their new politics in terms of wellbeing and community rather than wealth and individualism. Nicolas Sarkozy asked Joseph Stiglitz to lead a high-level policy review on these issues; after his own review, David Cameron has set the UK’s Office of National Statistics the task of measuring and developing policy around wellbeing. Having delivered numerous speeches on the subject of wellbeing, Cameron recently called on business “to work on improving quality of life and wellbeing.” Echoing this, Sir Gus O’Donnell, whilst head of the civil service and cabinet secretary, opined that within ten years, wellbeing would be the economy’s headline indicator, with GDP as a subsidiary indicator. Alongside these UK moves, the EU, OECD, France, many US states, China, the World Bank and UN are all committed to rethinking how we measure progress through the addition of a wellbeing perspective. Cheshire is just one of a number of global CEOs who are working hard behind the scenes at evolving their business models so that their products, services and brands deliver maximum possible wellbeing for society per unit. Such a reorientation may start to show that such an alternative economic precept is both feasible and palatable. Broadly speaking, there are three main areas where progressive companies can help push the boundaries of thinking and action on these issues. Firstly, they can push government to radically reframe the market to favor those companies willing to be part of a rapid transition to a new wellbeing economics. Secondly, they can help take society on a journey from a paradigm of ‘wealth, growth and material as prosperity’ to one of ‘wellbeing as prosperity’. Thirdly, they can shift their strategic direction to focus not on producing ever more stuff but on the ecological efficiency of delivering to human needs. Having made that promise, the company must now work out what it must do to deliver on it. The progressive corporate world seems poised for the next step: turning theories of human needs into practice through experimentation and innovation. What next? Can the SDGs deliver on wellbeing? For want of any credible response to the challenges of our time from government, it seems that progress rests on the shoulders of civil society and progressives in the commercial world. 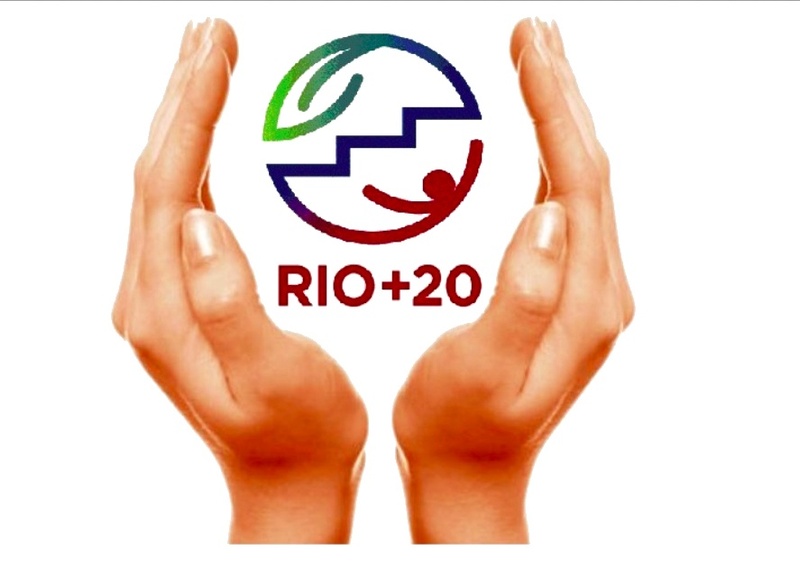 Perhaps if civil society and the progressive corporate world can continue to examine questions of human needs, helping to update definitions to progress and prosperity, we can hope for future global action which is truer to Brundtland’s definition than Rio+20 managed to be. As Saamah Abdallah has written, the Sustainable Development Goals (SDG) process could be the place such progress might be made: you can be sure that NEF will be pushing for such progress. While, as Alex Evans points out, it’s as yet unclear just how the SDGs will be developed, David Cameron – co-chair of the UN Secretary General’s High Level Panel on the post-2015 development agenda – is poised to play a key role. Cameron has bravely pushed wellbeing over his time in power. Yet of late, he has said less and less on the subject. He ought to recognise that it is now coming to the forefront of progressive debate about sustainable development. He would be risking little in injecting such thinking into the SDG process. He’s set the ONS the task of proving people are happy when they’re starving, sure.